Fresco questo look, sa proprio d'estate... brava!!! Red and white for summer is so pretty and feminine. Love the skirts. Happy weekend Lilli. 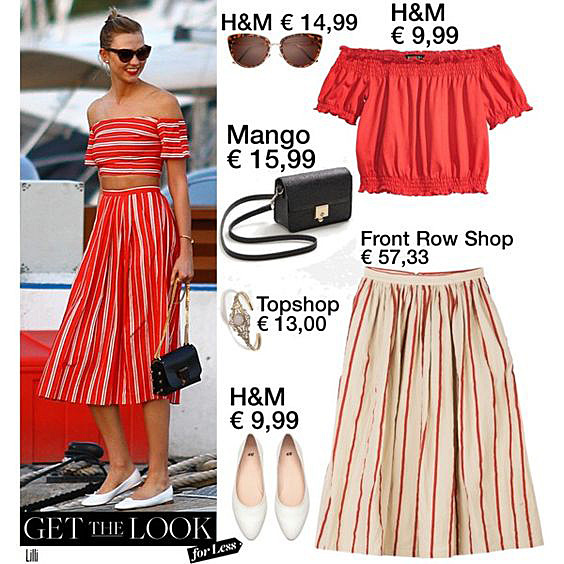 This is such a fun and chic summer look Lilli! You recreated it beautifully! Loving your stylish and affordable picks! Happy weekend my dear! Really nice idea. Thanks for the tips! The H&M top is cute (nicer than the one on the photo). I like the sunnies too! Ottimi consigli, molto bello l'outfit proposto!